The Redeemed Christian Church of God started 74 hours of marathon praise yesterday at 10.00p.m (Nigerian Time) as it ended its 50 days of fasting. The 74-hour marathon praise also heralds this year’s birthday anniversary of the General Overseer, Pastor Enoch Adejare Adeboye who will be 74 years old on March 2 this year. Marathon Messiah’s Praise which began at 10.00 p.m. yesterday (February 29) at the Youth Centre, is a non-stop musical extravaganza planned to express gratitude to God for His mercies upon the life of the General Overseer and designed to create a new pattern of praise in this dispensation. According to the National Youth Programme Director, Pastor Oluwadare Adeboye, the vision of the marathon praise was birthed in 2012 to allow God’s children engage in a long lasting spiritual worship experience, and it has grown bigger and blossomed to become the longest gospel musical event globally. “The annual worship experience, which started as 70 hours of Marathon Messiah’s Praise, has grown in grace to 71, 72, 73, and now 74, we will be worshipping God for 74 hours non-stop,” he stated. He maintained that this year’s marathon praise will feature the Holy Spirit alongside more than 70 worship leaders simultaneously in three countries—Nigeria, South Africa and the United Kingdom. “There will be three stages in three different locations namely Nigeria – RCCG Youth Centre, Redemption Camp in Nigeria, for South Africa, RCCG South Africa 2 Headquarters in Johannesburg”. While in the United Kingdom, it will hold at the RCCG Jesus House, London, United Kingdom,” he stated, adding that the programme would commence at 10.00 p.m. prompt on February 29, and end at 3.00 p.m. on Thursday, March 3. Considering the nature of the programme, officiating would be on a shift basis. Feeding, hostel accommodation and transportation would be made available for all registered volunteers during this period, he stated. For the two other satellite stages in South Africa and UK, the programme would consequently continue the March 1 between 1800Hrs and 2000Hrs GMT+2 in South Africa, while the United Kingdom will be up on March 2, from 1900Hrs and 2100Hrs GMT. 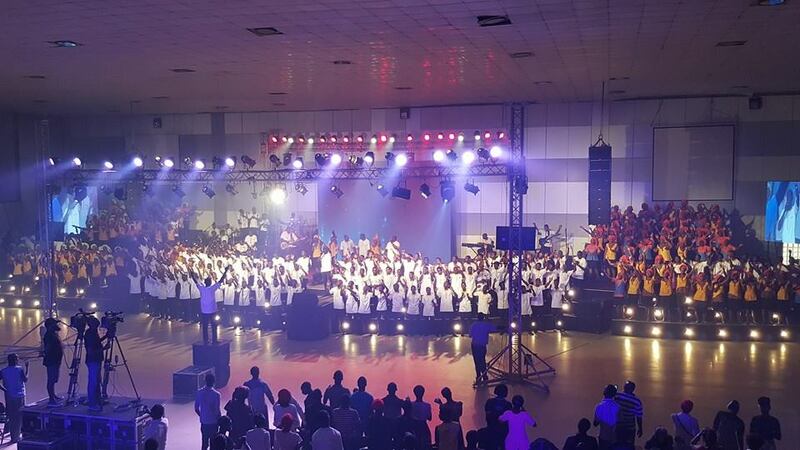 As the two stages outside the country would be ministering at their allocated time, there won’t be any activity on Nigerian stage, but the audience would join other worshippers from the two countries via satellite and screens that would be provided at the Youth Centre to view and join the other stages during their ministrations. Ultima studios and TV Productions will be the backbone broadcast organisations. OHTV and RTM will broadcast live from the UK and South Africa respectively.